lets loose a D-4. 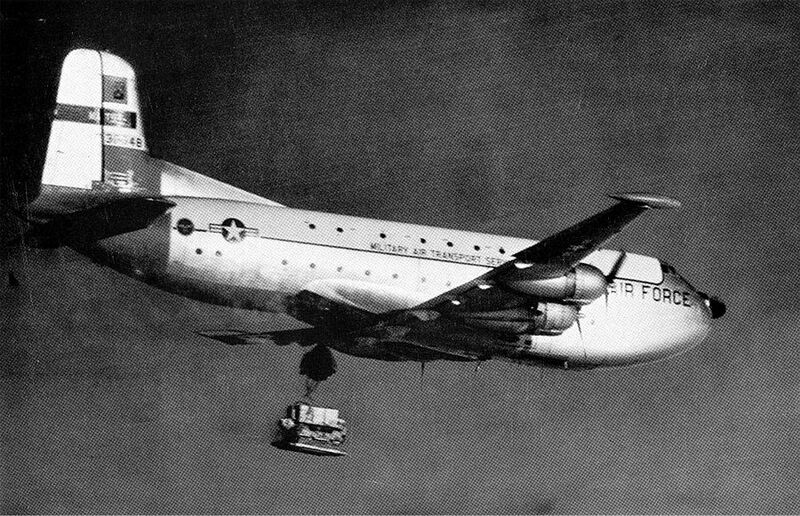 A total of 10 C-124's participated in this year's airdrop. 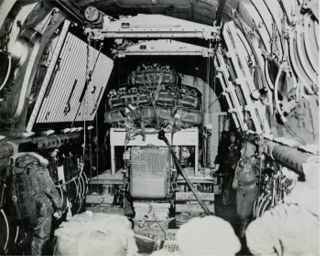 At left is the D-4 inside the aircraft, prepped for the drop. 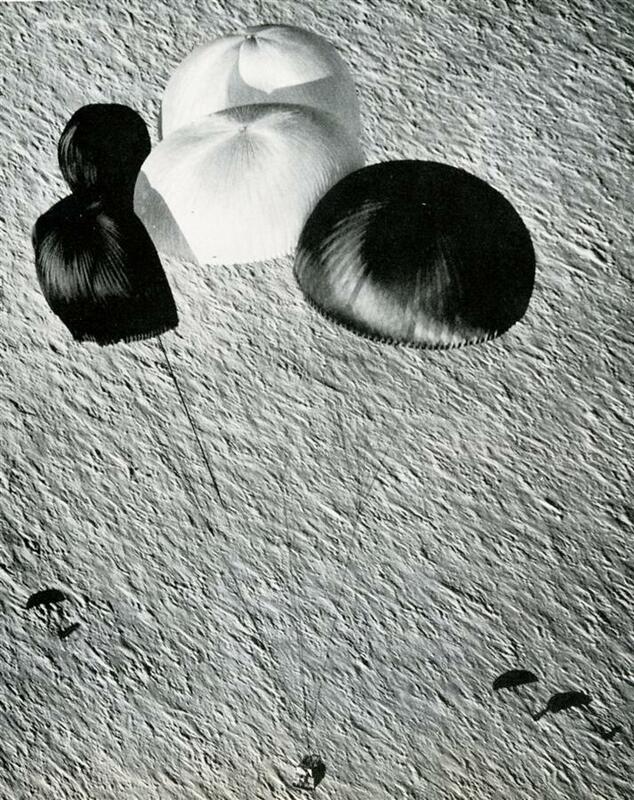 At right is another view after the parachutes are fully open. Again, the load is about 9 tons, the chutes are 100' in diameter rigged 235' above the tractor. Altitude was 1500' above the surface, and the temperature on the surface was -55°F. In addition to the crew, Senator Henry M. Jackson of Washington was on board. I'm guessing that the dark crescents on the snow surface are parachutes from a previous drop. A second D-4 was dropped on 11/11; thirty minutes after the drop, this tractor was in operation. These are U. S. Navy photos from the DF-60 Task Force 43 cruisebook.